The Bellringers of Ss. Peter and Paul, Scarning. NDA Western Branch AGM, 28th November 2015. 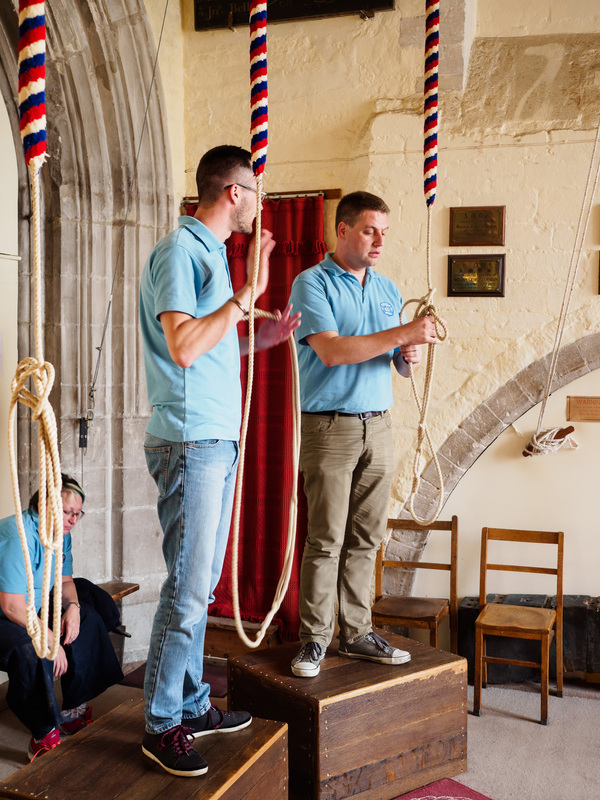 A few words and some photos of Swanton Morley ringers’ excellent outing to south Linconshire and west Norfolk, organised by Lee, who also drove the minibus all day. Two Scarning ringers were part of the group and we had a day of laughter and good ringing. We left from Dereham at 9 o’clock on Saturday morning and followed the A47 as far as Sutton St James, where our first tower was. Sutton St. James was a bit of a surprise as the bell tower is detached from the church. It seems that the nave fell down or was demolished at some point. The chancel of the church remains and is in good repair but now there is a sizeable gap between the two buildings. The tower and its interior didn’t look very encouraging, at least to me, but there turned out to be an easy-going six (tenor 7 cwt). All but one of the bells were cast in 2000 (the remaining one is far older), at which point there was clearly major work done. A good start to the day. Our second tower was at Gedney. This is a fine sandstone church, quite lofty, with a clerestory above the nave. The windows are large and almost all of clear glass so that the church is full of light. I believe it is known as The Cathedral of the Fens. There was no one there to meet us and we hung around for a while until Lee was able to talk to the incumbent by phone, who told us to go ahead and ring. This was another 6, a bit heavier than Sutton, with a 13 cwt tenor. As you can see from the picture there is a quite recently constructed ringing platform in the tower. If prior to that the ringing was at ground floor level then I suspect that the bells may have been a bit more of a challenge. As it is we got on well. Next stop Holbeach. Another big sandstone church with an interesting roof but without the light, airy interior of Gedney. Here also is a well-designed modern ringing platform with toilets and storage rooms beneath. 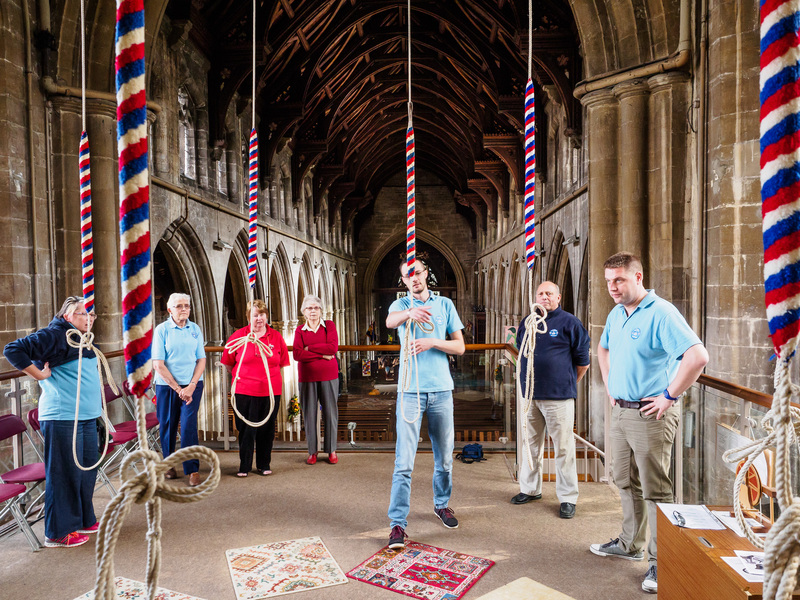 Holbeach has eight bells (tenor 13 cwt.). Those unused to ringing on eight found this a little unnerving at first, I suspect, but they are lovely bells to ring and we soon settled down. We did some Plain Bob Doubles on the back six as well as rounds and call changes on eight, and I think we rang some PBD everywhere we went during the day. Some of us were starting to feel that breakfast was a long time ago (i.e. me!) but found that it wasn’t lunchtime quite yet, as we had another visit to make first. This was to Long Sutton, which was our other eight of the day. This is a ground floor ring and after warming up at Holbeach ringing eight here didn’t seem too intimidating. 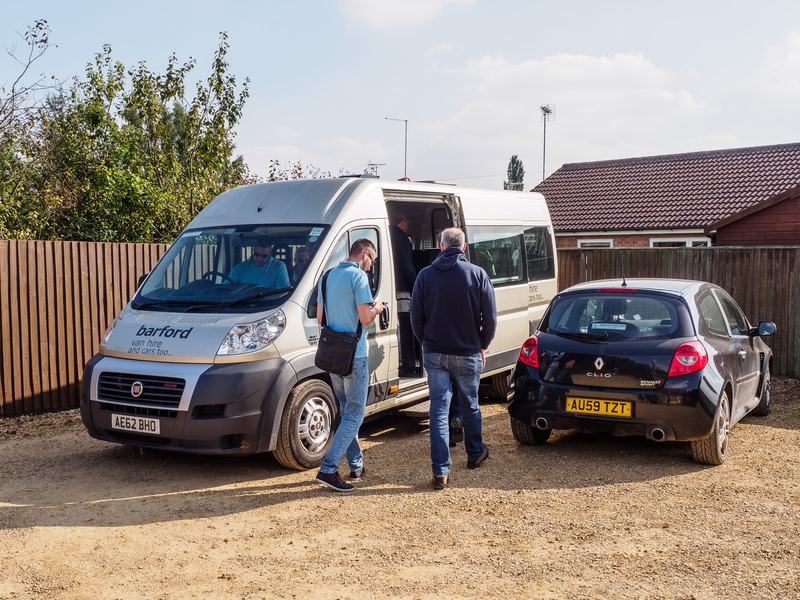 Off we went again, this time to Walpole St Andrew, where Lee finally allowed us to eat our sandwiches, some having surreptitiously started a little earlier, and others having found a coffee at Holbeach. This worked out well as it was a gorgeous early-October day and some ate in the bus and others sitting around the war memorial in Walpole churchyard. It’s fair to say that St. Andrews at Walpole came as a surprise after our morning experiences. 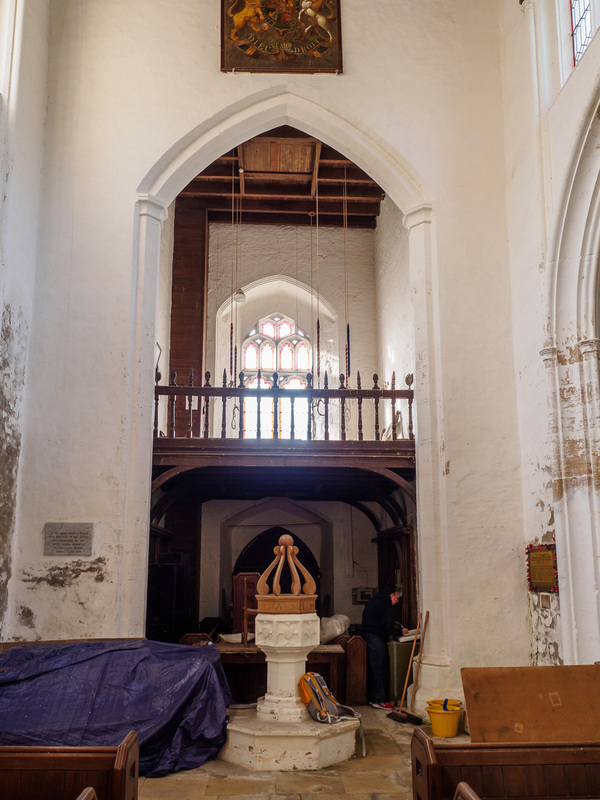 This church is redundant and in the care of the Churches Conservation Trust. It looked rather unkempt inside, though to be fair I suspect that the fabric of the building is being well looked after. The ringing chamber clearly wasn’t heavily used (!) and we started to wonder when I found it impossible to ring the 15 cwt. tenor up unaided as I couldn’t make it strike. We got the bells up and had a ring but found them hard going and difficult to control. As it turns out they are on plain bearings, and clearly not used very often. I wouldn’t have missed this for anything but nevertheless a high standard of ringing wasn’t possible, at least for ringers of our calibre. As we left we were stopped by a man who said that we shouldn’t have been ringing the bells at all. This was odd as Lee had gone through the proper channels and confirmed our visit in writing well beforehand. There was clearly a communication problem somewhere but it wasn’t of our doing. 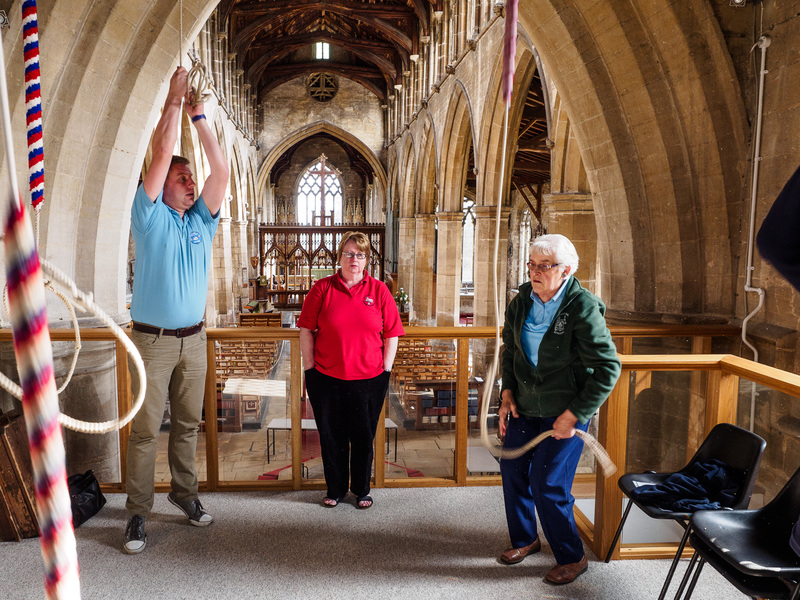 Last visit of the day, and the highlight of the outing, was a ring at St. Margaret, Kings Lynn. 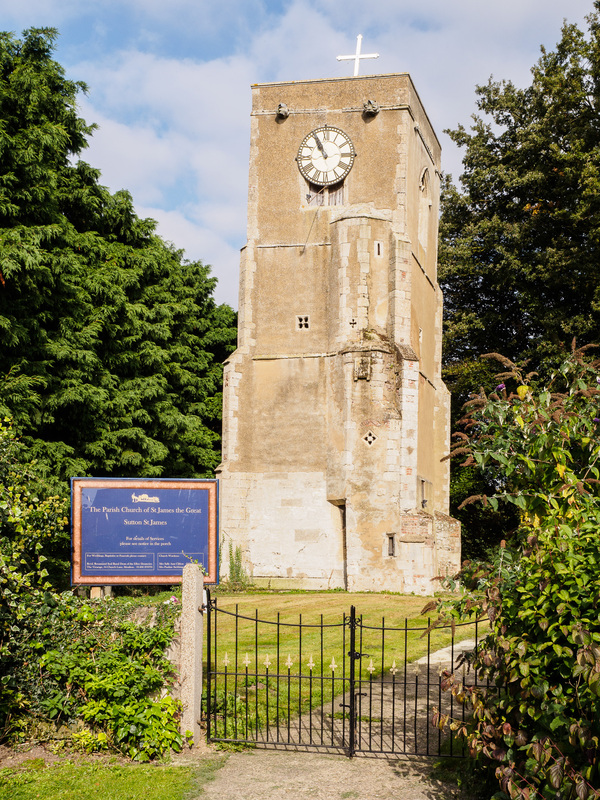 This is a historic tower with a long ringing history. 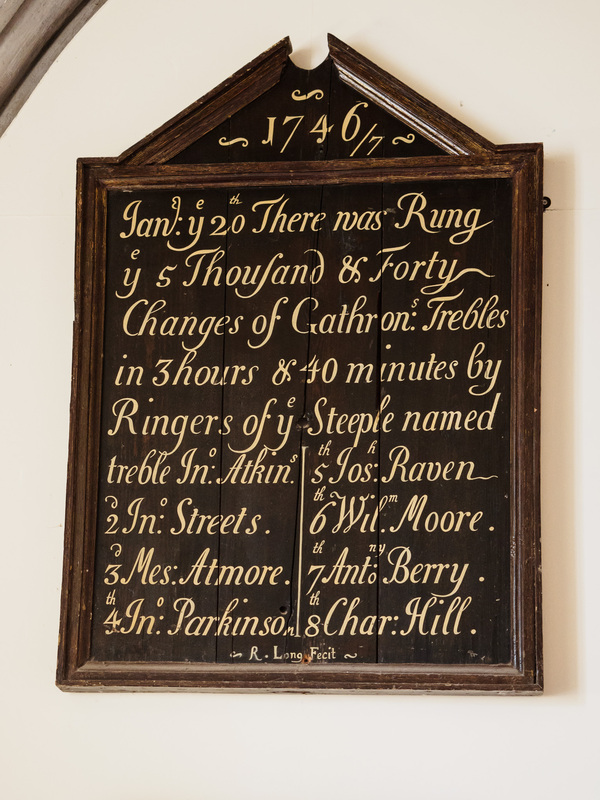 I was struck by this peal board from 1746, which is ten years older than the earliest at Dereham. Time didn’t permit us to look around the church so for me that pleasure will have to wait until another time. Aaron & Lee at Lynn. St. Margaret’s has a wonderful heavy ten (tenor 28 cwt.) 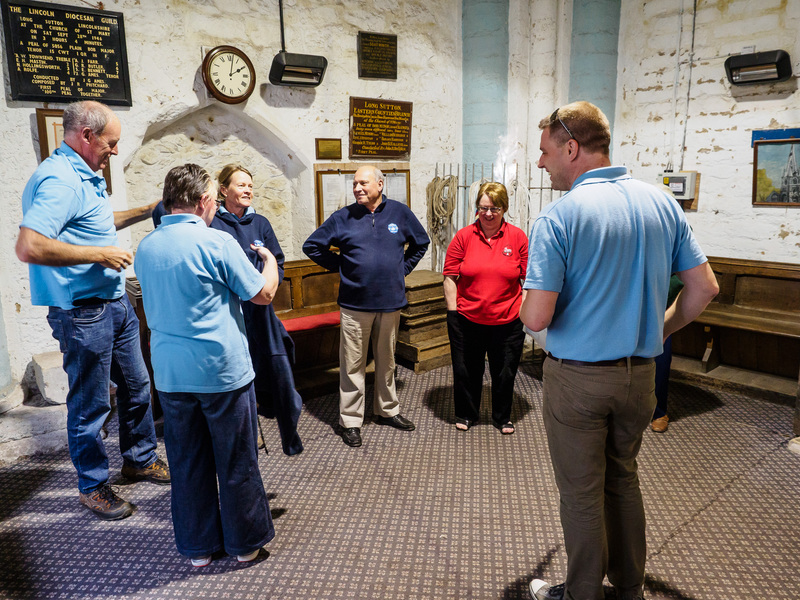 and to have the opportunity to ring bells like these is a privilege, so thank-you Lee for making it possible. As you might guess ringing up the two biggest bells was a two-person job but once they were striking they went up well enough. One oddity is that following earlier problems with the bell frame the tenor is now set very fleet and it took a delicate touch to stand it (I don’t think any of us managed it first time). We rang the back nine, there being too few of us to ring ten, and they made a magnificent sound. Just to complete our record for the day we rang a plain course of Plain Bob Doubles on the back six, which was something of a challenge on the bigger bells but still music to our ears. And that was it. Off home tired but content, and for me at least thankful that Lee was driving us, which he did superbly throughout the day. Thank-you Swanton for a top-class day out. We’ll be looking forward to the next one.